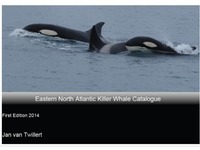 No doubts Whale Watching is a fantastic, breath-taking experience, but there are rules to be followed in order not to cause distress or even damage to our Whale and Dolphin� friends. Please notice that different countries have different regulations. 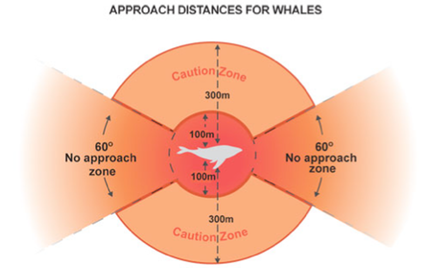 Slowly approach whales and dolphins sideways, never from front or rear. Never cross the path of a Whale or Dolphin or a group of Whales and Dolphins in the aim to anticipate their moves and facilitate a closer encounter: they will most probably feel chased and avoid you. Slow down to "no-wake" speed, and maintain a steady direction. You will make them feel more secure, and the probability of a close encounter will be higher. Never split a pod or group of Whales and Dolphins. Never spend more than 20 minutes with Whales and Dolphins, unless they want to spend a longer time with you. Never feed Whales and Dolphins. You do not want to perturb their natural feeding habits, which may cause big problems in the long run. The best Whale Watch Operators are the ones who are more sensible, not the ones who get closer. Moreover, the most sensible operators have often the best encounters. If you swim with Whales or Dolphins, do not try to touch them or get closer than they want you to. As important, check the local regulations before you get in the water with them. Most countries do not let people swim with Whales and Dolphins. Anomalous dive sequences and unusually prolonged dives with substantial horizontal movements. Remember that you should never chase Whales or Dolphins. A distress sighn is not the easiest sign to recognise, that is why it is always better to have an expert on board. It is also worth to point out that life is particularly busy for Whales and Dolphins, as they can spend as much as 90% of their time traveling and feeding. As result, little time is left� to socialise and play with humans.